Many kinds of pallets cannot be stacked; some of them feature lower surfaces that are irregularly shaped and would damage the loads on which they would rest (though such pallet configurations are often nestable because of their shape). 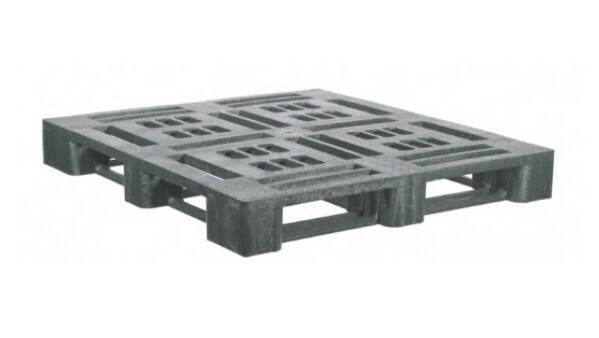 Stackable pallets often feature a flat, minimally textured lower surface that can be placed on top of uniformly flat loads. In settings where large volumes of products must be stored or shipped, stacking loads allow for a way to save space and increase storage and shipping capacity. Warehouses, factories, shipping companies and the US Postal Service opt to save space and improve efficiency by stacking pallets. Because of the risks that present themselves when heavy loads are stacked on top of each other, many industries order their stacking procedures according to strict guidelines or regulations. To avoid the risk of worker injury and damage to pallet loads, weight restrictions are placed on loads stacks. Industry professionals usually stack pallets and loads according to the static load capacity of the bottom pallet. Static load is the maximum load-bearing capacity of a fully loaded pallet at the bottom of a stack of loaded pallets. Many plastic pallets are made of high-density polyethylene, or HDPE, which is a strong plastic that is durable and easily shaped into different configurations. Some pallets can be made of other plastics like V-PP, PE, PP and recycled PET, but HDPE is the most common material. 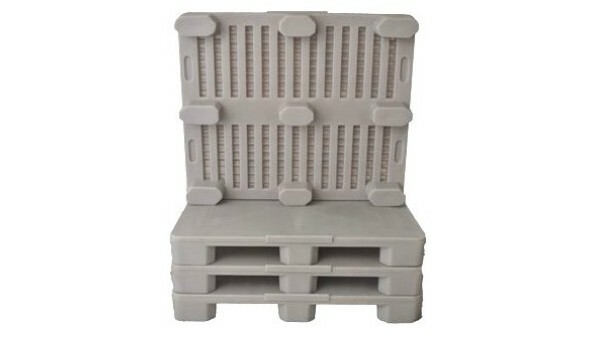 Stackable pallets are usually injection molded. The injection molding of a pallet involves the injection of molten plastic into a mold. Molds are specially designed cavities shaped like the intended final product. The molten plastic fills the mold and takes its shape. The plastic is then allowed to cool and harden. Injection molded plastics are lightweight and can withstand extended exposure to inhospitable temperatures. Many kinds of plastic pallets are corrosion-resistant and non-reactive, which makes them useful in the transportation and storage of hazardous chemicals. Plastic pallets are a more expensive initial investment than wooden pallets, but their service life of seven to ten years compared to wood pallets’ less than two years, their durability (which reduces risks to load integrity) and their other qualities make them a good investment for many companies. Stackable Pallets Stackable pallets and skids are moveable storage and transportation platforms designed to be stacked on other pallets and their loads.